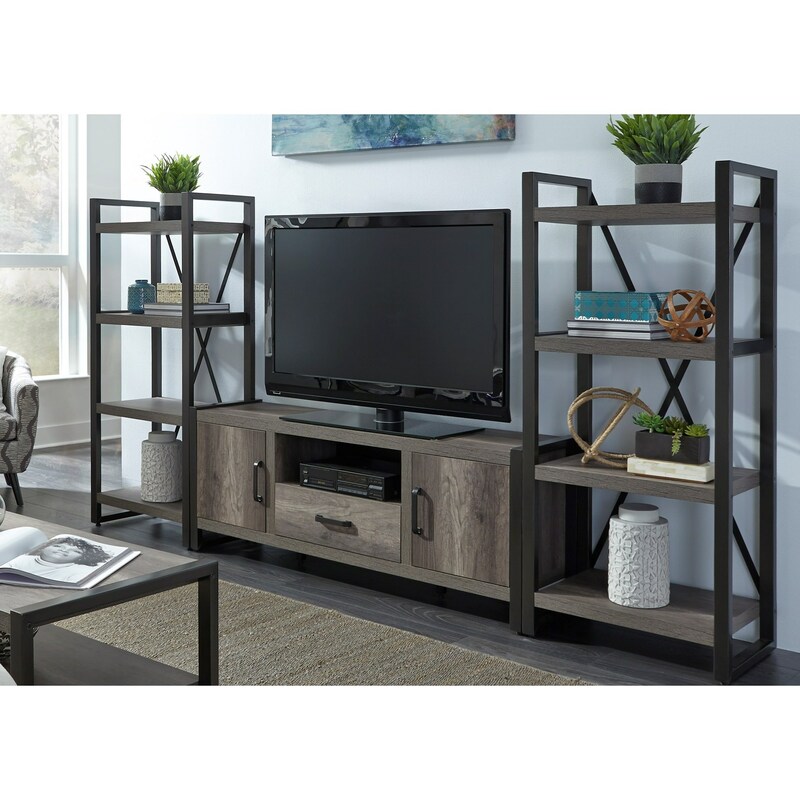 Width (side to side) 117"
Turn your living room into a space you and your guests will never want to leave with this contemporary entertainment center with piers. With 11 total shelves, you'll never want for extra space to store your movies, video games, books, or any assortment of modern decorations. The greystone finish and dark pewter bar hardware seen on each piece in this group will nicely complement the look of any modern living room, whether you live in a downtown apartment or a stylish home in the suburbs. With plenty of space to set your TV and easy access to your video game console or media player, you'll have a difficult time getting your guests to leave at the end of the night.